The MapMaster™ mini detects faults and locations of RJ45 network cables. Good terminations, causes of faulty and locations of cables are displayed on an LCD display. 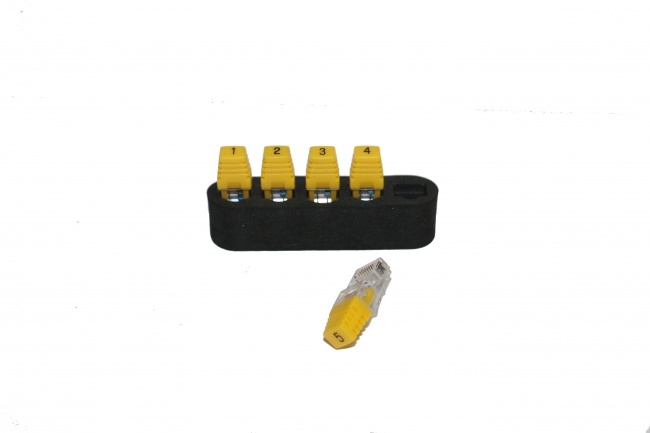 A set of five mapping remotes is included for locating cables terminated in wall jacks or patch panels. A built-in tone generator with 4 different tone combinations can be used with a tone probe to detect where a cable is routed and the location of the end of the cable. 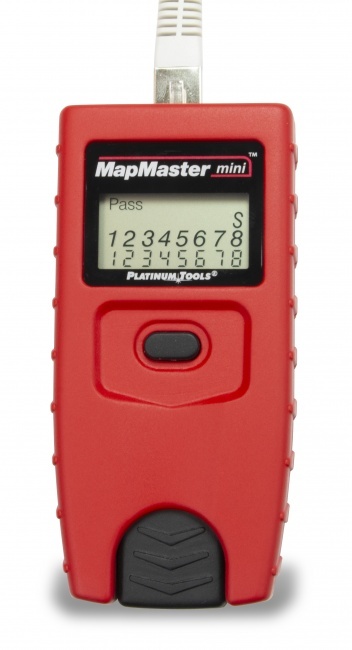 MapMaster mini Cable Tester w/ #1-5 ID Only Remotes. Clamshell. #1-5 ID Only Network Remotes, w/ Foam Holder. Clamshell.